The Republican dominated Senate has confirmed the clearly unqualified Betsy DeVos to be Secretary of Education. We can see this inexplicable vote as just another in a long line of votes where the government has decided to put partisan politics in front of good sense and good governance. One thing is sure, Betsy DeVos’ confirmation is a bad thing for public education, parents, teachers, and children. What might not be as apparent is that Betsy DeVos’ confirmation is also bad for corporate education reformers. Education reformers got an education reformer in the cabinet position all right, but they also got the dumbest, most clueless, education reformer in the history of education reform to represent their interests. Even worse (better?) the whole world knows it. 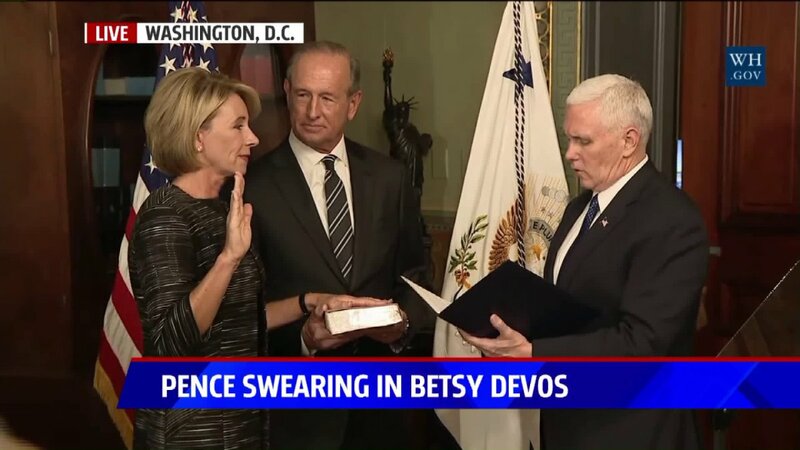 DeVos can now prepare herself for endless social media shares of her laughable Senate hearing performance, plus continued ridicule from late night TV hosts, and the awakened anger of teachers and parents across the country. I understand that one of the new Secretary’s first official trips in her position will include a crusade against anti-education grizzlies in the public schools of Colorado. Pack your gun and Bible, Betsy. DeVos enters office as the only presidential cabinet appointment in history to require a tie-breaking vote from the Vice-President. That scion of education reform, champion of anti-LGBT legislation, and Trump toady, Mike Pence, cast the deciding vote. I like the irony of the dumbest education reformer in America needing the vote of the second dumbest education reformer in America to take up her position. It makes me think of a title for a new movie sequel: Dumb and Dumber Go to Washington. I have never had anything nice to say about billionaire reformer Eli Broad, but he seems to be one education reformer who sees DeVos as a danger to his (misguided) movement. He wrote to Senate leaders saying that DeVos was “unprepared and unqualified.” He recognizes that bad leadership, even when it aligns with your own thinking, is bad for everybody. Perhaps you’ve noticed what is happening in the White House. [the] upside of that is that people, understanding her level of awful, may actually wake up and pay attention. 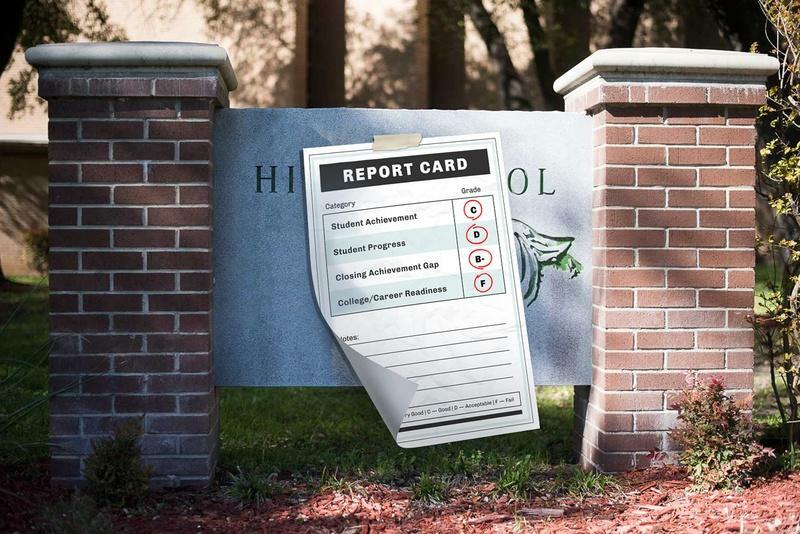 It's not a full return for the shellacking public education is about to take, but it's not nothing, either. So while we have every reason to fear that DeVos will be a terrible steward of public education, we have the solace in knowing she will likely be a terrible administrator of the department and will have a difficult time moving her vile agenda forward and when one of her hare-brained schemes does manage to see the light of day, lots of people, not just veterans of the anti—corporate reform movement, will be paying attention. So now we lick our wounds, the fight against DeVos’ confirmation was a worthy one that had little chance of succeeding in its ultimate goal, but has been successful in shining a light on the hollow and harmful motives of school privatizers. Now our job is to keep up the heat. Keep Betsy in the headlines and on social media; call her out for every mistaken idea and misstep. Tweet. Post. Write to your elected officials. Write to your local newspaper. Keep working. It will be exhausting, but necessary and important, work.